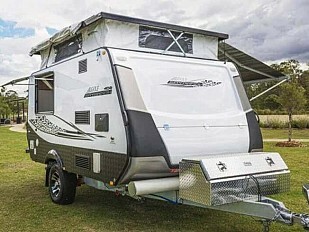 When deciding on which caravan to choose most people to look at the practical side of things such as, is the bed big enough? Can I run a BBQ, and does it have an ensuite? But the first question all people new to caravanning should be asking is Will my existing vehicle safely tow this van? As car and caravan weights vary drastically this is a question that must be answered for each individual before you buy. 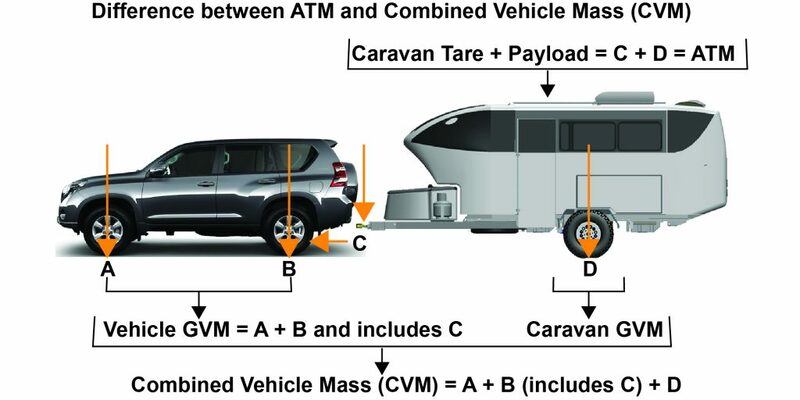 As a rule of thumb, the Caravan Council of Australia suggests that the van you’re towing should not exceed 77% of the overall mass of the laden weight of the towing vehicle. For example, if you’re existing truck is a Ford Ranger with a GVM of 3,200kg then you’re laden caravan should weigh no more than 2,461kg. Keeping that in mind, don't forget the weight of your gear. Gas bottles, water, clothes, food accessories etc. This will all contribute to that laden weight. You don't want to get out on the open road and find out that the tail is wagging the dog, so to speak, and you need to abandon your dream road trip for further adjustments. There are 2 main things to assess when looking at what your vehicle can legally and safely tow. The first figure you want to look at is the maximum towing capacity of your car. This tells you how much the manufacturer is quoting as the maximum safe load to be towed behind the vehicle. You can usually find this information in the owner's handbook, or attached to the Towbar plate if fitted at the time of purchase. Secondly, you want to look at the maximum towball weight. 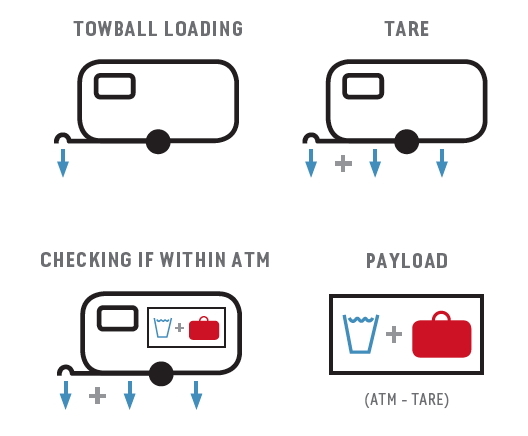 Once again this is usually stipulated by the manufacturer and as a rule of thumb is that a manufacturer will usually allow 10% of the vehicle's maximum towing capacity to rest on the towball, however, this is not always the case, so it’s always good to check. Like you car a van has a couple of measurements to keep in mind and understand when talking to the van dealer. These are tare weight, Aggregate Trailer Mass (ATM) and payload. This is the weight of your new van unladen and usually dry (no water, gas etc). It is also good to remember this is without any accessories fitted such as extra Tv’s, Solar or storage boxes. This is simply the manufacturer's weight as the van rolls off the assembly line. This refers to the manufacturer's rules for the maximum permissible laden weight of the van unhitched from a towball. You should be able to find this etched into a manufacturer plate secured to the van. This is the difference between the Tare weight and the ATM. This tells you how much room you have to spare for your gear and accessories. FOr example of your ATM is 2300 kgs and your tare weight is 2000kgs your payload will be 300kgs. This payload may sound like plenty but if you remember that 1 litre of water weighs 1kg you can see how your extra weight allowance can be eaten up pretty quickly with 80 litres of water and then gas bottles etc. 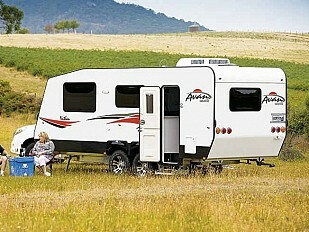 Which caravan will suit your needs depends a lot on how many people are travelling and how far you want to go. The Avan range caters all the way from single travellers with an Avan Sportliner weighing in at a meek tare weight of 710kg all the way up to a family luxury van in the Infinity 685 that weighs more than 2,000kg. When looking at what van your car will tow safely always remember that your gear will weigh more than you think. Keep within your limits and you’ll enjoy all the Australian landscape has to offer. If you’re in doubt, ask a professional to help you work through the figures rather than take a risk. 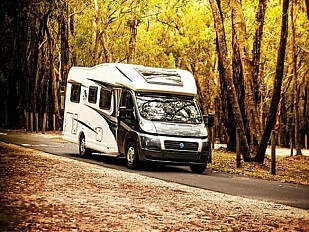 Previous Previous post: Which Should I Buy: Second Hand Caravan or New Caravan?